She’s got the songs, the voice and the determination to make this her life’s work. 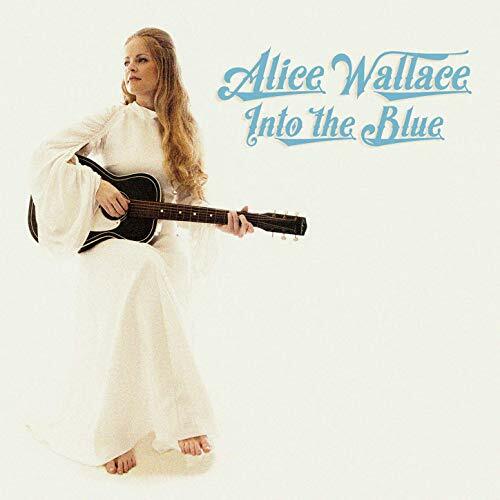 “Sail away into the blue … you’re only scared of the things you can’t see,” croons Alice Wallace explaining why she finally decided to become a full time singer-songwriter. It’s a bold life move which makes a logical title track on her fourth, and most assured release. That confidence is evident as soon as you press play. Opening track “The Lonely Talking” kicks off with Wallace’s acoustic strum, quickly joined by organ, electric guitarist Tom Bremer, then a full band as she digs into a soulful, organic slice of slow-rocking that’s both tender and tough. The singer belts it out with a poise that comes from playing 200 gigs a year, controlling the song while letting her backing musicians set the rugged tone. Wallace deftly shifts between the sweet country-folk of “Motorcycle Ride”- — where she encourages others to take life chances as she does with a stranger whose invitation she accepts to take a spin on the titular vehicle — to the bluesy, horn-enhanced “Same Old Song.” The latter is an unusual change-up but one that works well within the context of the album which glorifies pushing outside self-imposed boundaries (“I’ll find a new way to sing the same old song”). Current events take focus in “Desert Rose.” It’s a tender story about the bravery of a woman who attempts to cross the southern border for a better life in America, all atop a subtle yet dramatic Mexican vibe, including mariachi trumpet and fiddle accompaniment. Most impressive is when Wallace shifts from tender to boisterous within the same song. There are clear references to Linda Ronstadt, an acknowledged influence, in how Wallace uses a catch in her voice that moves to soulful intensity in tracks such as “When She Cries.” Songs like the ballad “Elephant” float on stripped-down pedal steel and luscious low-key strings, as Wallace tells of the difficulty growing up as a woman, fending off unwanted amorous advances, all under three minutes. The album basks in a sunny, occasionally edgy ’70s California country pop/rock glow, somewhere between early Eagles (Ronstadt’s band), and Nicolette Larson. It’s clear Wallace made a savvy choice by jumping into the deep waters of her career, feet first. She’s got the songs, the voice and the determination to make this her life’s work. Now all she needs is the exposure.